Leonard Cohen came up on stage in one of her concerts and sang “Bird On A Wire”. 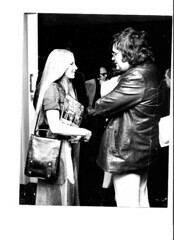 Don McLean invited her to be a part of his documentary, “American Troubadour,” Judy Collins called her “a gifted songwriter”. Highly regarded among her peers and younger artists alike, this legendary artist has gone on to record LP after CD, gleaning the respect of an ever-changing industry and a loyal and devoted base of fans. 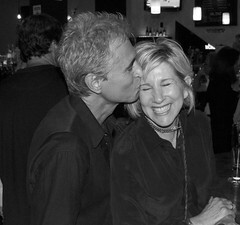 Lieberman’s defining career/life -changing moment came one evening when her good friend, writer, Michele Willens, invited her to a concert at the Troubadour, and the song “Killing Me Softly”, from that experience, became one of the most beloved of our generation. Born in Los Angeles but raised in Switzerland, Lieberman expressed her feelings early on in journals and in song. 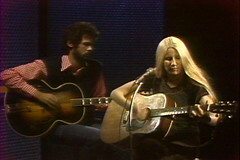 One of three sisters, her early musical influences began with Donovan, Francoise Hardy, and Dionne Warwick, but her inspirations shifted when her sister returned from college in Maine, and gifted Lori with her favorite music from U.S. which included Joni Mitchell, Judy Collins, and Tom Rush. “I finally felt at home with their musical sensibilities and their writing really reached into my heart, “ she says. 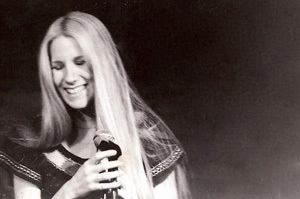 She began to write her own material, playing in high school bands and later, in college in Boston, before landing her first record deal with Capitol Records in the early 1970s. Lieberman went on to record five more albums for Capitol (Lori Lieberman, Becoming, A Piece of Time, Straw Colored Girl, and The Best of Lori Lieberman), which featured a young Larry Carlton, Joe Sample, Merry Clayton, and members of the LA Express, to name a few. She toured extensively throughout the U.S. and Europe, along with Billy Joel, Randy Newman, John Sebastian, and others. However, it was her association with a little known New York–based record label, Millennium/RCA, that she was most encouraged to step away from the mainstream. Under Jimmy Ienner’s guidance, she wrote one of her most candid collections of songs entitled Letting Go. Lieberman focused on her family life, the mother of three children (Em, Daniel, and Will), and stayed away from the music business for the next 15 years. She regards that time as one of the happiest and most fulfilling of all, and yet, she secretly kept on writing songs that no one heard, in her small studio in the upstairs corner of her home. Her music took a backseat until producer and audiophile, Joseph Cali, coaxed a reluctant Lieberman out of the shadows, and got her singing again. In the time spent away from the music business, Cali was surprised to find that she had continued writing, putting her thoughts and music in her secret archive. He had an idea to involve his former partner in Cello Music and Film, engineer Mark Levinson, to create a two-mic live experience with Lieberman for the audiophile community. A Thousand Dreams captured her performance, and was nominated for a Golden Note Award for the Best Original Recording of the Year, and featured performances by Amanda McBroom, Paulinho da Costa, Chuck Delmonico, The Gay Men’s Chorus of Los Angeles, and Dean Parks. Two more CDs followed: Home Of Whispers and Gone Is The Girl. Rich Warren of WFMT Chicago named Home Of Whispers as his Number One most recommended CD of that year. 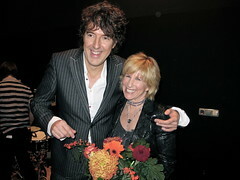 Of primary importance to Ms. Lieberman is the current resurgence of her music in the Netherlands. Having performed there in the ’70s, she was surprised to learn, via the internet, that her colleagues as well as her listeners were still there, welcoming her back after so long, supporting her through her sold out concert tours and multiple CD releases. She looks forward to performing there every year. “It’s as close as I can get to the feeling I had growing up in Geneva—the cold winters and changing seasons, and the best coffee in the world!” She has co-written with several of her favorite artists from the Lowlands: The 3JS, Stevie Ann, Niels Geusebroek, Yori Swart, Ruben Hein and Sandra van Nieuwland. 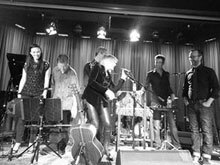 Five CDs have followed on the record label Drive On Records: Monterey, Gunmetal Sky, Bend Like Steel, Bricks Against The Glass (a limited edition Blu- ray, mixed by the Grammy Award– winning Darcy Proper and Ronald Prent of Wisseloord Studios in the Netherlands), and her newest five song EP, simply entitled, Lori Lieberman, featuring songs that she recently performed at her sold-out concert, “An Evening With Lori Lieberman”, at Carnegie Hall. 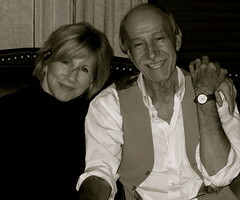 All of Ms. Lieberman’s recordings have been co-produced with Joseph Cali, and are arranged and orchestrated by Lieberman. 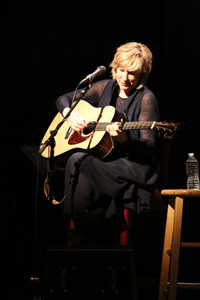 Her original compositions and unique versions of songs by some of our most beloved songwriters, including Emmylou Harris, The Bee Gees, and Paul Simon, have been featured on Sirius Radio’s The Loft, and her concerts, both solo and with a band, have included such famous venues as the Royal Theatre Carré in Amsterdam, City Winery, and The Grammy Museum. “Bend Like Steel” is some of the best work you’ve done. It’s tied in my estimation with “Home of Whispers,” and you know in what high esteem I hold that CD. Beautiful, beautiful work. And your voice has never sounded better.